I am sure you have noticed the prices rising, it can be quite the sticker shock to walk into the grocery store and see asparagus selling for $14.99/lb or cauliflower for nearly $10 a head. Having a partner whose family owns a small produce store here in Toronto has given me a front row seat to what is going on. Unfortunately due to the situation in California and our ever falling dollar, prices in Canada have been on the rise. Trust me when I say the grocery stores DO NOT want to be selling produce and fruit for these outrageous prices, can you imagine how much food has potentially gone to waste due to the high costs and consumers not purchasing? The truth to the matter is their cost to purchase has skyrocketed and that has driven consumer prices up. My partners family heads to the Ontario Food Terminal in Toronto on a daily basis to buy produce for not only for their store but for a number of well-known grocery stores they purchase produce for as well. They wholesale to restaurants, retirement homes, and more all over the GTA. The struggle is real, not only for us as consumers but for businesses alike! 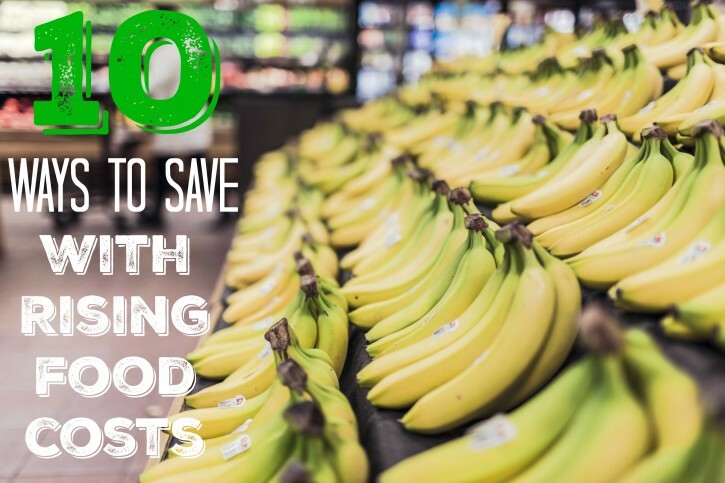 Amid the rising costs you can prepare yourself to be on the top of your game, doing the best you can to save as much as possible off your groceries by following some of my easy tips below. It isn’t news that our produce over the last month or so has been expensive. One of the biggest tips I can give you is to buy frozen or canned fruits & vegetables when their fresh counterpart is priced higher than your budget allows for. Of course canned can have added sodium so if you are watching your intake like myself I suggest rinsing before cooking to remove as much sodium as you can. Frozen fruits and vegetables are picked at the peak of their ripeness and quick frozen so they are just as good and nutritious as fresh. You really need to watch for great sales and capitalize on them by stocking up while the price is at a rock bottom low so you can make it through the weeks that those items are not on sale and avoid paying full price. For instance last week Coppa’s had boneless, skinless chicken breast on sale for only $2.99/lb which is an amazing price for boneless/skinless. I went to my local Coppa’s and stocked up on chicken breast. I individually wrap each breast in plastic wrap and place in freezer safe bags in the freezer. I bought enough chicken to last us a couple of months worth of meals so we don’t have to buy chicken breast at higher prices in a week or two. The same goes for anything that is on sale for an incredibly low price, you want to stock up as much as your budget allows you to so you can make it through to the next sale cycle. Another great way to save is checking your reduced sections in your store. Right now with high costs a lot of produce is ending up in the reduced section for next to nothing as it has ripened and they need to sell quickly. For meat and produce from the reduced section, simply eat them in the next day or two or freeze them. You can save considerable amounts of money checking reduced sections. Truth be told a lot of the manufacturers who make the name brand products also make the store brand products as well. I know this first hand from being in a manufacturing plant and seeing the same company that produces a well-known name brand also producing your local store brand products as well. There is little difference in store brand vs name brand in most cases. The reason store brand products sell for less than name brand is they do not have high advertising costs and their packaging is minimal. If wanting to save money you will have to become less brand loyal and be willing to try store brands when the name brand is not on sale. I personally have switched many of my products to store brand such as tampons, pads, spices, paper towels, canned vegetables and more and to be honest some of them are better than the previous name brand I was using. This is something many people don’t even think of doing but it is something that could save you some serious coin over time. Most people think bigger = better pricing and the truth to the matter is this is not always true. While at normal price the bigger package may be cheaper per unit than the smaller package a lot of times the smaller package of something will go on sale and when you figure out the cost per unit the smaller package will be the better deal. Also to keep in mind if you have a coupon or a rebate that does not specify a size most times purchasing the smaller size or multiples of it if you have more than one coupon can result in great savings and often times free product. To find out the unit price you simply take the price of your product and divide it by the size, so if your item is $5.99 and is 250 grams you would divide $5.99 by 250 which equals $0.02 per gram. These two really go hand in hand and before you even leave the house to shop you should be doing these two things. You first need to take a quick inventory of what you already have on hand that can be used to create meals. Then using an app like Flipp or Flyerify scan through the flyers to see what is on sale for good prices and write those down. You should really stick to the front and back of the flyers as those tend to be the areas where the loss leaders are – sales the store is willing to lose money on in order to get you in to shop. Once you know what is on sale and what you have on hand you can start to plan meals which will then let you know what else you may need to look for to complete your meals for the week. Flipp has a great search tool so if you type the product in the search area they will show you every store that has that item for sale. I like to keep it generic and never mention a name brand so I can see all brands of that product as a store brand may be on sale for less. Meal planning according to what you have on hand and what is on sale in the flyer will significantly reduce your spending. Make your list and stick to it, stay strong and avoid impulse buys and you will watch the savings add up. Price matching is not only a huge money saver it is a huge time saver. I don’t know about you but I don’t have the time to be running around to 10 stores any day of the week. I live in York Region, a drive to the Walmart 10 minutes down the road can take upwards of 30 minutes if there is traffic, so price matching saves us the hassle of dealing with traffic and saves us on gas which equals more money in our pocket. Many grocery stores are willing to lose a bit of money price matching other stores sales in order to keep consumers shopping in their stores. Be mindful of your stores price matching policy and always be prepared. Checkout is much easier and smoother if you have a list with what you will be price matching, what store it is at and even what page of the flyer so you can quickly access that specific sale vs flipping through the flyer and becoming flustered. You can use my FREE PRINTABLE GROCERY SHOPPING LIST to help keep you organized. Using coupons is a great way to save money, I have been couponing for 6+ years now and have saved over $60,000.00 just by using coupons. I love that technology is evolving and the rebate apps allowing us to save money are growing. The very first rebate app I used was Checkout 51 and since then there are more rebate apps than I can count on one hand. Utilizing multiple ways to save will maximize your savings. If you price match a sale, use a coupon and then claim that purchase on a rebate app you are tripling your savings vs buying that same product at regular price or doubling your savings from buying it just at the sale price. There are many apps that have rebates for fresh produce and meat products, something that we rarely see coupons for so price matching those items on sale and matching them with a rebate will allow you to cut costs. 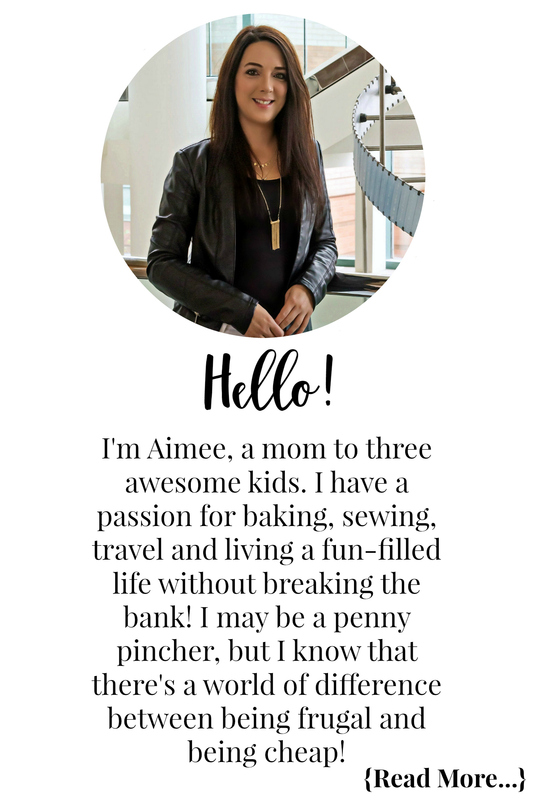 Visit my previous blog post for a complete list of apps you will want to download to help save you time and money! It sounds so simple but let’s be honest you are probably wasting more than you would like to admit. Don’t worry I have been there too, you are not alone in the fight to reduce waste. The average household throws away around $1,500 worth of food annually. When I read that I shake my head, I spend less than that on food in a year so to know an average household throws away that amount I almost don’t want to know what they are spending a year on food to be able to throw that amount away. It isn’t extremely hard to reduce your waste, if something is on sale for 2/$5 or $2.50 each and you do not need two only purchase the one. Even if the sale is 2/$5 or $2.79 each you are better off spending the extra $0.20 and getting only one vs spending $5 and wasting $2.50 when you throw out the second because it spoiled. If it is a good sale and you want to utilize the savings but know you won’t eat the second before it spoils freeze it so you can use it at a later date. Another way to reduce your waste is to be mindful of what you have on hand already. You also want to be mindful of expiry dates, of course some products the ‘best before date’ is just a guideline. For instance eggs can be safely consumed for up to 3 weeks after the date on the carton as long as you store them properly. Cereal can be eaten long after its date as long as its seal has not been broken, store it in a sealed container after opening and consume within the month of opening. Even fruits and veggies that may have a bad spot or a mold spot on them are fine, just cut out the bad part and use the rest — this is something I am trying my hardest to do with the help of my partner who is helping me waste less produce this way. There is something in a sale that sets in motion a chain of events, it ignites something in us to think we are getting a deal when it may not even be a sale at all. Honestly 3/$5 or 10/$10 has some sort of hidden message that screams out deal and although sometimes it may be true many times it is not. Don’t get sucked in by flashy sale signs, big discount stickers or even coupons and rebates if the product is something you would not normally buy or the quantity is more than you would be able to consume before it spoiled. Do you have any other tips? Let me know how you cut costs and save money in the comment section below! These are great tips, I use many of them already. I can’t believe the price of food, it’s definitely made me more aware of our food waste, budget, and look for more ways to get more for my money. I really need to get back into meal planning. I saved so much by planning around what was on sale that week. Meal planning is such a huge part of savings especially when done in accordance to what is on sale and what we have on hand. It is amazing just how much you can knock off your monthly grocery bills by putting in a bit of effort. Love these tips, many I already follow myself. It seems like everything is raising in prices lately, it is always good to try to save when and where we can! Thanks, so happy you already implement many of them. It is really good to be consciously aware of our spending and save when we can. Nothing I hate more than wasting food, especially these days because everything is so expensive. I have to admit, I am not a great weekly meal planner, but you have inspired me to start being more diligent with this. Awesome tips! I’m doing most of the tips now and have also joined a food coop for bulk purchases. I love harvest time in Ontario. Buy Canadian at this time. There can be massive bags of carrots or onion ts, huge cauliflower and cabbage that are a steal. I bought a 10 kg bag of carrots for $1.27 at the end of the harvest. I then split up the carrots between our household, my son’s and my parents so that half the bag did not go bad in our basement. We also did this with onions. Cabbage are still available very inexpensively. The only downside is that I worry about the farmer’s incomes when they have to practically give away their hard earned product because frost is coming.